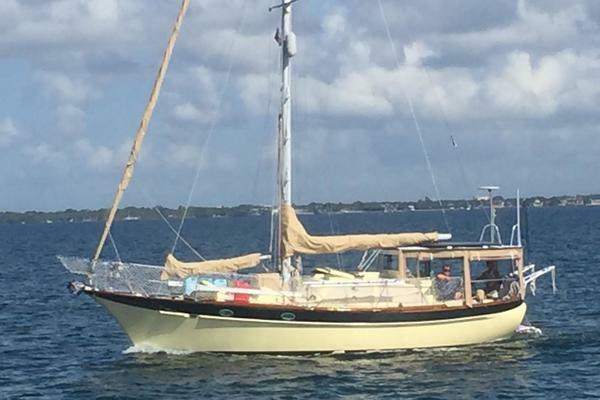 Vahalla has recently undergone many improvements including, new bottom paint, new canvas, new AGM batteries, new wiring, new battery charger/inverter, new bilge pumps, new interior upholstery, freshly painted interior, new energy efficient LED lighting throughout, and two new heads. Caribbean Sailing Yachts Corporation (CSY) was initially a charter company, operating primarily in the Caribbean. They were the first company to come up with the charter ownership idea. CSY developed and perfected the 'charter lease back' program where an individual purchased the yacht and subsequently placed it into the charter fleet in order to cover the cost of the initial payments. CSY originally purchased boats from companies such as Irwin, but soon realized they needed stronger boats which would withstand the rigors of bare-boat charter, with less than experienced captain and crew. 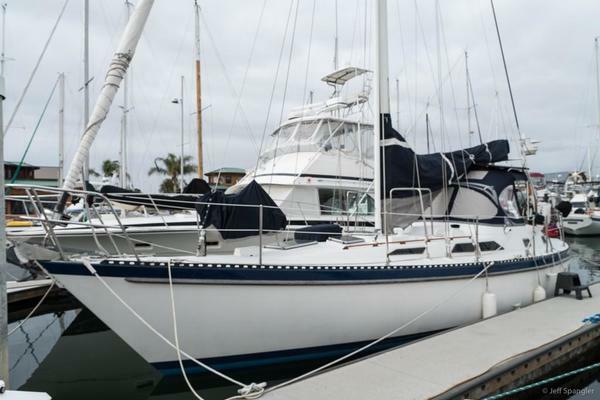 CSY went into the boat manufacturing business, working initially with Ted Irwin, a well-known and successful designer of very affordable cruising and racing sailboats in the Tampa area at the time, who particularly influenced the CSY 44 hull design. The 44-foot (13 m) designs feature a raised aft deck allowing for a large aft stateroom. CSY boats were built to unusually high standards of strength, durability, and quality, due to the demands of their use in the charter business. The CSY line has features like a built-in full-size trash receptacle in the galley, large refrigeration boxes (3 boxes totaling 21 cubic feet, and a larger-than-king-size bed in the aft master cabin make the boat comfortable in port as well as a good sea boat. CSY did not use wood lamination in its construction, a technique that is the curse of many boats of this vintage. The CSY hull is up to 1.5" of solid fiberglass reinforced plastic resin with 14 dual layers (one sheet of fiberglass mat and one sheet of fiberglass weave = one layer). The avoidance of wood cores extends to the deck, which is also solid fiberglass. The only wood used in the construction of these boats are heavy laminated structural stringers, bulkheads and interior furniture.